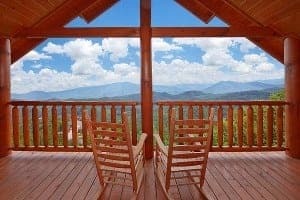 The key to enjoying a peaceful vacation with your friends and family is to find a relaxing vacation cabin rentals in Pigeon Forge TN. 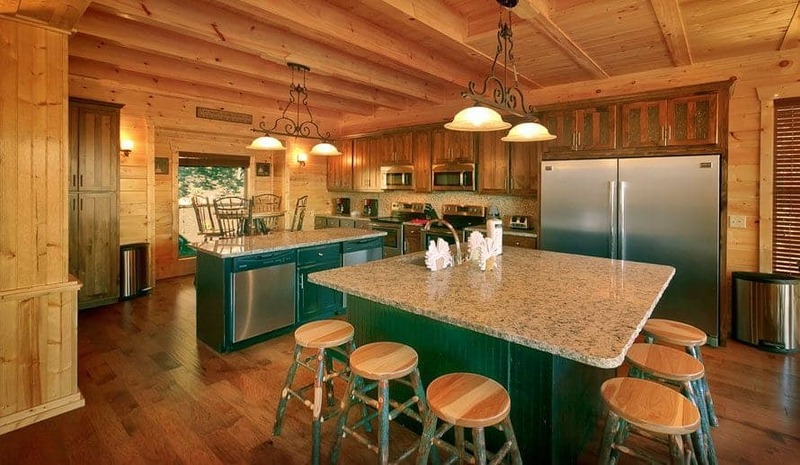 From the moment you walk through the door of these cabins, you and your family or group are sure to feel at home. With the dark-stained wood on the walls to the outdoor hot tubs to the open floor plans, there is everything you need to unwind and enjoy a memorable vacation. When you stay inside our cabins, you can almost feel all of your stress and worry fade away like the smoke over the mountains in the distance. For a sneak peak into the relaxing atmosphere you can expect to find inside one of our vacation cabin rentals in Pigeon Forge TN, watch the video below! It is not just the relaxing amenities found inside our vacation cabin rentals in Pigeon Forge TN that will help you unwind during your stay. It is the breathtaking mountain views these rentals offer as well. Whether you choose to take in this scenic beauty from the comfort of your cabin’s private back deck or while you are lounging in the living room and staring out the window, we promise you will not be disappointed in the amazing views found at our cabins. If you want more of a secluded scenic view to enjoy during your stay, we also offer several vacation cabins with a wooded view as well. This view is good for families or groups who want to enjoy a private vacation, away from the hustle and bustle of everyday life. Polls are always fun, especially when you are on vacation. However, when you add in a stay with one of our vacation cabin rentals in Pigeon Forge TN, you’re sure to have a fun and memorable experience. Now, not only do you have a quiet and secluded place for you and your family to come back to after a fun-filled day of exploring all of your favorite area attractions, but you also have your own private resort swimming pool to enjoy throughout your trip. These pools are so nice, you may find yourself never wanting to leave your cabin resort. Click here to learn more about the benefits that come with staying in our vacation cabin rentals in Pigeon Forge TN with pool access. Lastly, you want to find vacation cabin rentals in Pigeon Forge TN that are located near all of your favorite activities in the area. It doesn’t matter if you want to spend all of your time exploring the exciting attractions on the Parkway or relaxing on the quiet side of the Smokies. It just matters your cabin is close to what you want to enjoy so you don’t have to spend most of your time in traffic when you are trying to enjoy your vacation. Now that you know what to look for, start booking your next stay in our large cabins today by searching through all of our vacation cabin rentals in Pigeon Forge TN. From spacious 4 bedroom cabins to gigantic 18 bedrooms cabins, we have the perfect rentals for any size group or family traveling to the area.